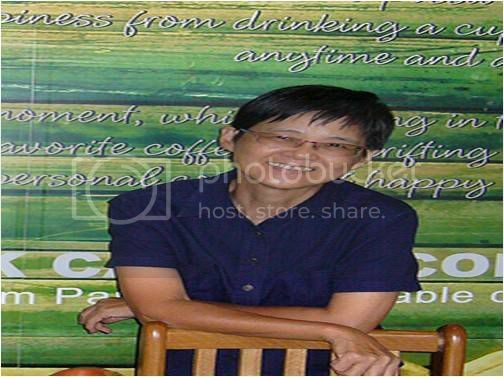 The following is an email interview with Ms Teo Soh Lung, who was arrested in 1987 and detained under the Internal Security Act for two and a half years. You can read Part One here. TOC: What motivated your involvement in social activism? How were you involved? Teo Soh Lung: I don’t think I was ever an activist. I was educated in a Catholic girls’ school (St Anthony’s Convent School) but am not a Catholic. Perhaps the Catholic teachings that action is better than words had a large part in influencing how I live. While at school, I was not an active student though I did help in an organisation that helped the poor – St Vincent de Paul Society I think. When I left school and went to RGS for my pre-U education (because St Anthony’s did not have Pre-U [programme)) I continued to be involved in St Vincent at St Teresa’s Church. During my university days or shortly after, I think I was a volunteer with some Christian church at Braddell Road and later the PAP Community Centre at Anson where my mother used to live. I taught English and Mathematics to some children. When the free tuition scheme stopped at the community centre, I taught these kids who requested me to help them at the void deck of my mother’s flat every Saturday. I was not an active student at the university. I was too busy earning pocket money with work in the library! TOC: How long were you detained? Teo Soh Lung: Two and a half years. TOC: What was your treatment like during your detention and interrogation? Were you tortured or abused in any way? Teo Soh Lung: It is a long story. During interrogation, I was verbally abused, slapped, made to stand for hours on end in the cold room with spotlights shining into my eyes and sit on a 3 legged chair, – i.e. one leg was shorter than the other 3 so that a prisoner cannot sit and sleep and thus deprived of sleep for days! Imprisonment was not too bad. For some months I was locked up in a small cell with slits for air and the rest of my stay was in a big spartan cell, which ISD called a “Shangrila Suite”. I was in solitary confinement throughout my stay. TOC: The then-Archbishop of the Catholic Church, Gregory Yong, publicly denounced many of your fellow activists who were Catholics. This was instrumental in getting the Church to stop advocating for them. What are your thoughts regarding this situation? Do you think Archbishop Yong could have done things differently? Teo Soh Lung: I am not a Catholic and I don’t think my opinion matters to the Church. When I was in prison, I did not know what happened outside. But being told of the let down by the Church after my release, well, I was a bit disappointed. It is pointless for me to speculate if the Church could have done things differently. TOC: In light of what you went through, do you support the continued use of the Internal Security Act to detain suspects indefinitely without trial? Teo Soh Lung: Of course not. The ISA should be abolished immediately if possible. The ISA has throughout our history been used to control and instill fear in people. Hundreds, if not thousands, of our brightest have been incarcerated, lost their freedoms and youth. Lives have been wasted. TOC: What effect do you think this episode had on Singapore’s reputation and on Singaporean society? And what do you think civil society can learn from your experience? Teo Soh Lung: Singapore’s reputation depends on material wealth. As long as it has wealth, nothing matters to the world. On Singaporean society – well, many organisations died after 1987. Those that survived tread carefully and mainly aim to work with the government or at least to gain recognition from the government. In that way, they hope that they will at least be able to help society at large. This is both right and wrong. I think it is better to ask civil society to answer your question. TOC: What are your views of civil society now and also your views on the wider issue of political space in S’pore? Do you think it is now more open than 20 years ago? Teo Soh Lung: I think as far as the internet is concerned, civil society has much space even though there are many restrictions. The government certainly has a big headache in trying to stop any discussion on the net. As for political space, I think there is little for the opposition – the real political opposition. As for the people, we have internalised so much fear that we are not even aware of our own fear. We cannot act freely and we don’t even know that we are not acting freely! I don’t think the government is more open today than it was 20 years ago. TOC: What are your feelings toward the current regime, and Mr Lee Kuan Yew in particular? Teo Soh Lung: I don’t understand your question. If your question is whether I am angry with them, I’d say no. TOC: What lessons do you think we can learn as a society from this episode? Teo Soh Lung: Every generation faces different problems and must find different ways to solve them. I am not able to tell you what can be learnt from this episode. You will have to work this out yourself after knowing what we went through!